TEA BENEFIT Digestion problems: Black tea is rich in tannins and other chemicals that have a positive and relaxing effect on the digestive system of human body. 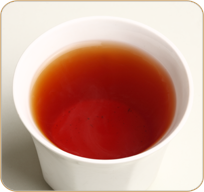 This anti-inflammatory quality of black tea is helpful for curing digestive disorders. High cholesterol: People who consume black tea have reduced bad cholesterol levels responsible for heart strokes and fatal attacks. It has also been found that people who drink 3 to 4 cups of black tea everyday are at lesser risk of heart problems than those who consume minimum or no tea. DESCRIPTION A tailor made tea for the export markets. An abundance of golden tips make this tea a unique and heavenly experience from the region of Assam. Perfect for milk and sugar and goes well without them too. Take one heaped teaspoon per 200 ml of freshly boiled water. Use a tea pot or a carafe. Pour water onto the tea. Cover and brew for at least 3 to 4 minutes. Adjust brewing time with strength and taste desired. Rinse pot after wards with hot water only. Do not use soap. Add milk and sugar as per your liking.